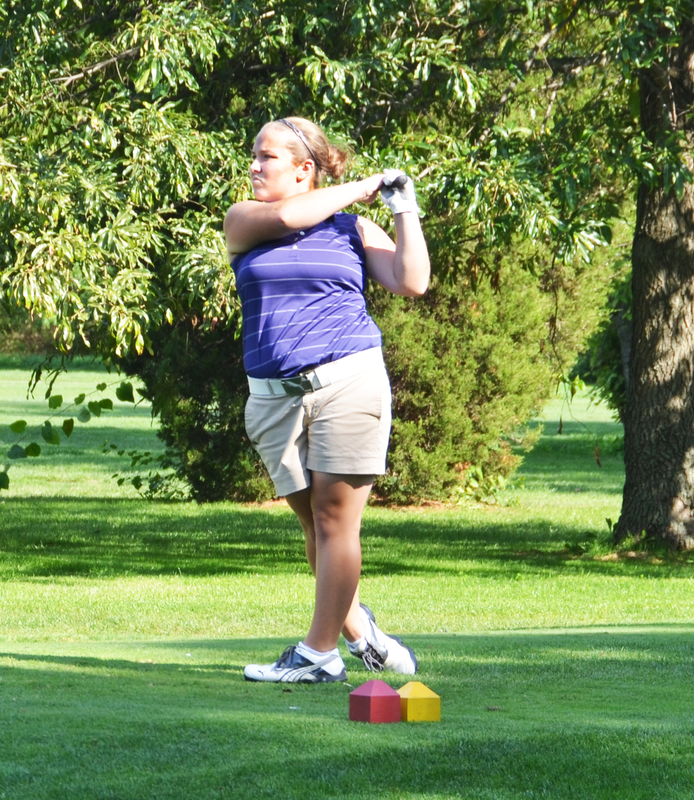 Girls’ golf swung into the fall 2013 Season with some new goals and new way to start it off. According to senior Danielle Warthen, the girls’ golf season is going really well so far. The girls earned their best team score of 348 at a course they never played before and finished 3|15 at Greensburg Invitational. Last year Warthen had two goals; to win the Mooresville Invitational and go to regionals. This year she just wants to enjoy her senior year and relax rather than push herself to play as well as possible. “I still want to play well, but I want to enjoy it just as much. I would also like to advance to sectionals as a team. I believe we are a lot better than last year,” Warthen said. All though the season is fast and started early Coach Franklin thinks it’s going well. “It’s nice to have five seniors and three juniors on the team because they already know the expectations,” Franklin said. Coach’s goal this year is to finish top three in conference and top three in sectionals; this allows them to advance to regionals. “Danielle Warthen and Jordan Blackburn are playing really well right now, but Molly Tieman is the most consistent player, she plays very well” Franklin said. This year is very important to the team so come out to the games and cheer them on! Meet the Teacher Night tonight.